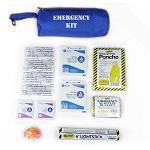 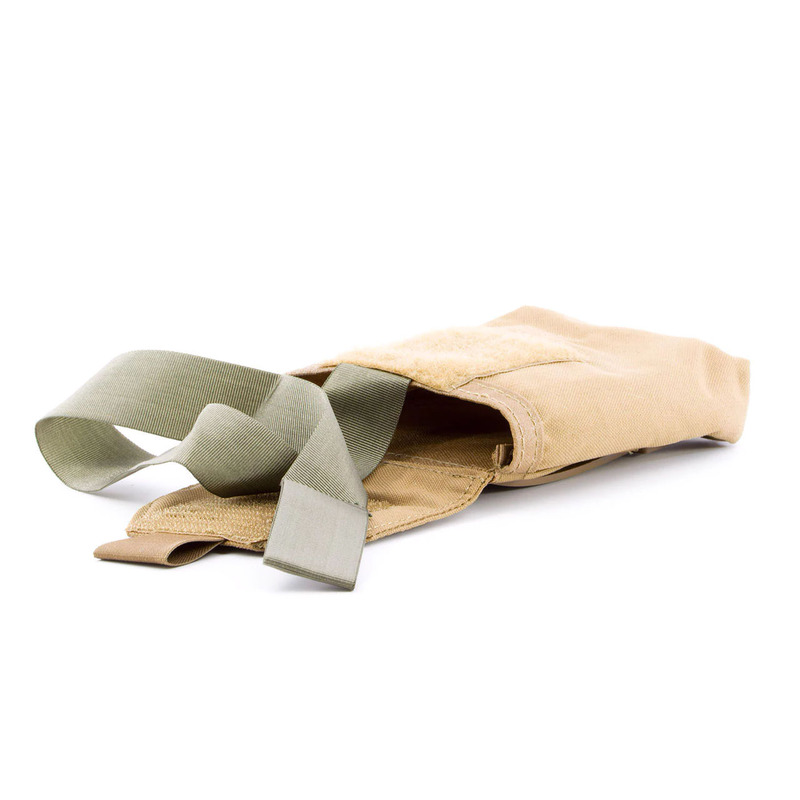 The Eleven 10 PTAKS Medical Pouch is designed to hold the PTAKS (Penetrating Trauma Aid Kit, Small). 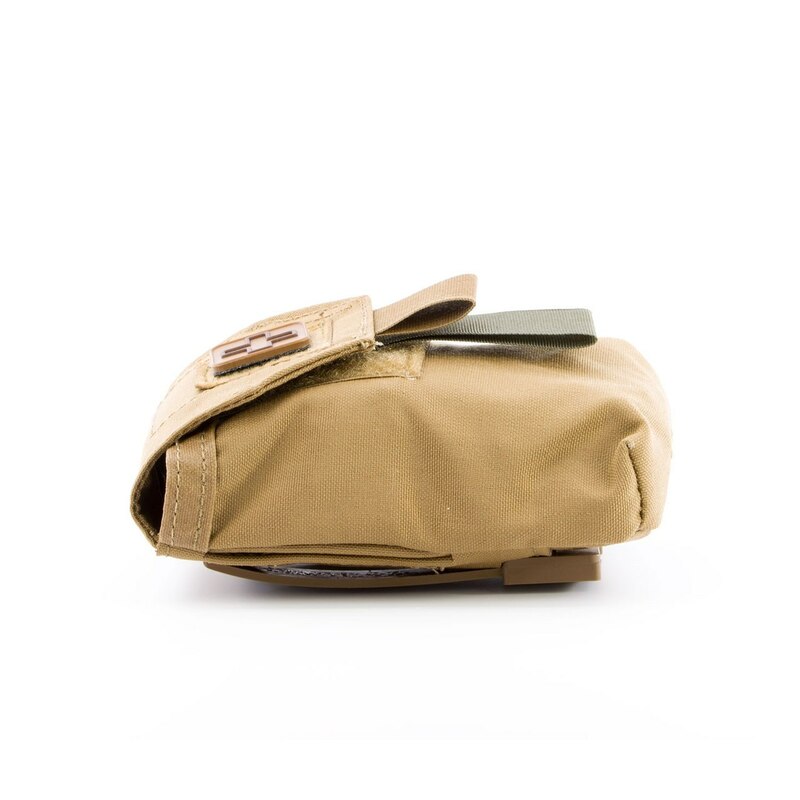 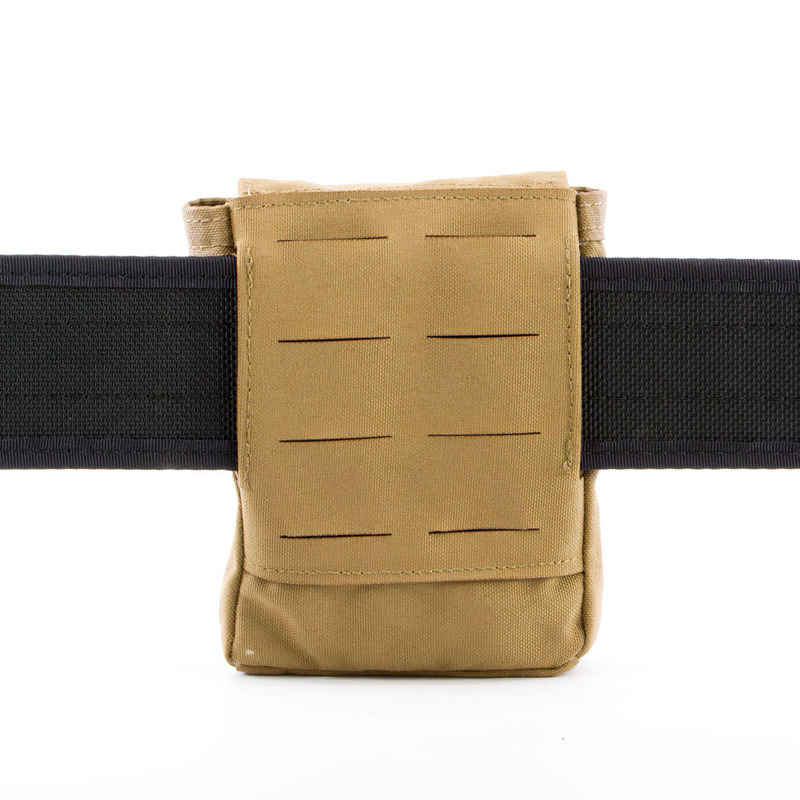 The pouch features a channeled back panel to allow belt mounting or using the included Malice Clips for MOLLE/PALS mounting. 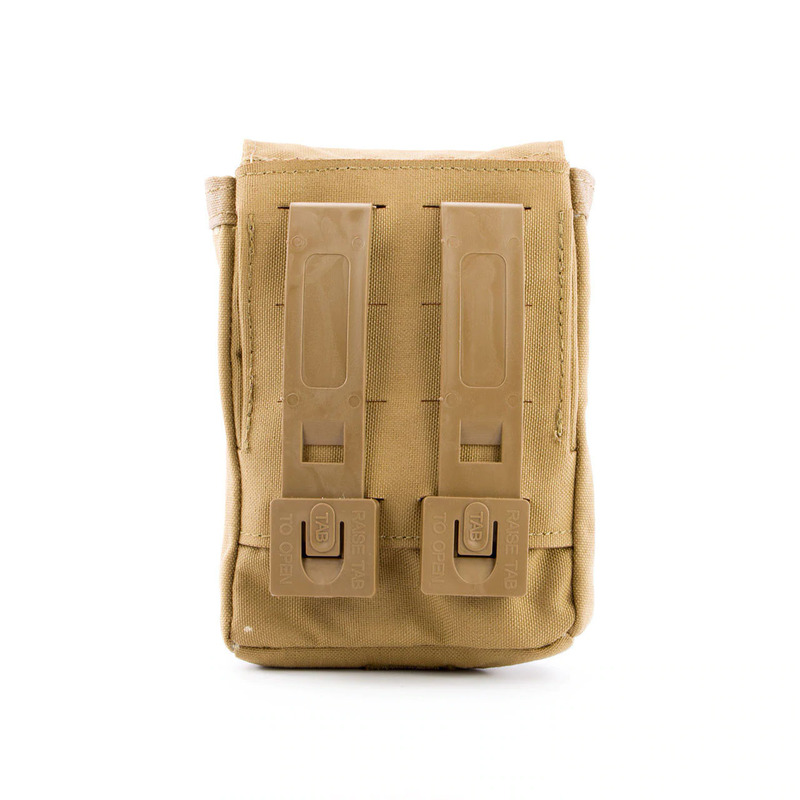 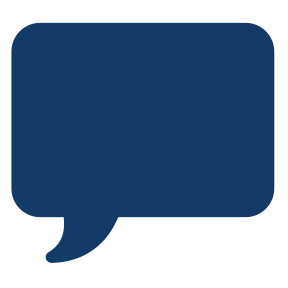 The inside is an open compartment and has a quick deployment ribbon that can be loaded under your contents to allow for a quick, easy deployment. 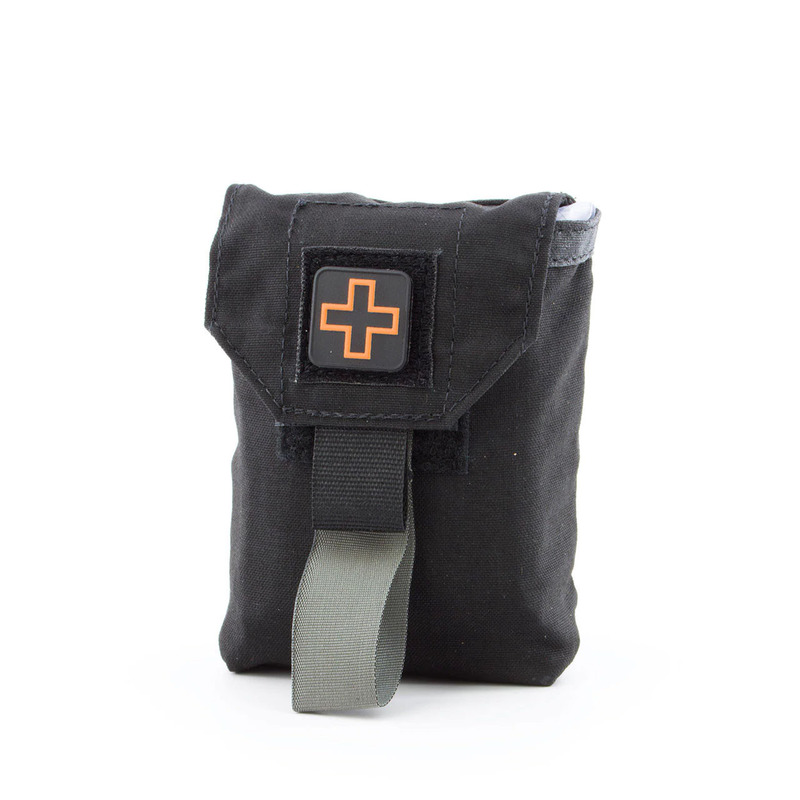 There is a loop square on the front of the pouch to hold a medical identifier cross patch (included).